But how do the function? 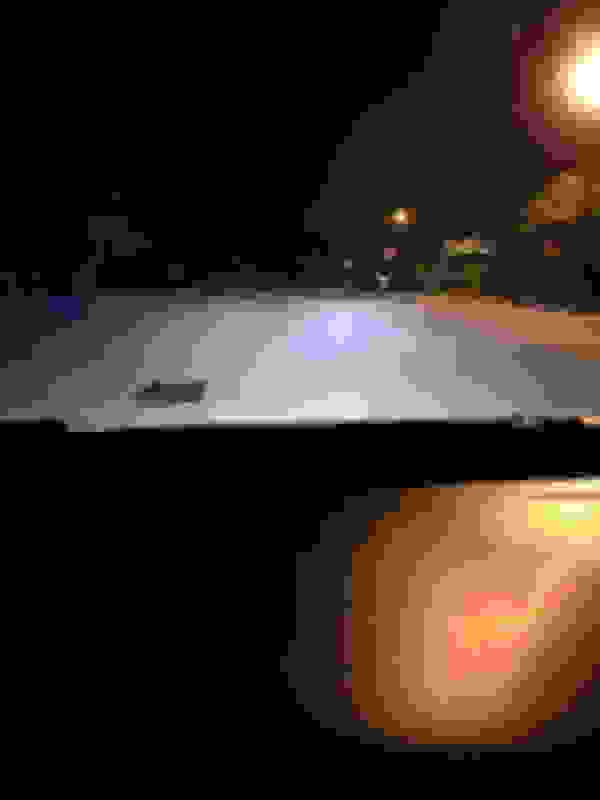 Can you see better at night with the low beams? With the high beams? Better than you could see with the oem incandescents? When turning from a main road onto a side road, I could not see the sides of the side road with the oem incandescents, unless I almost completely stopped in the main road and turned very very slowly. 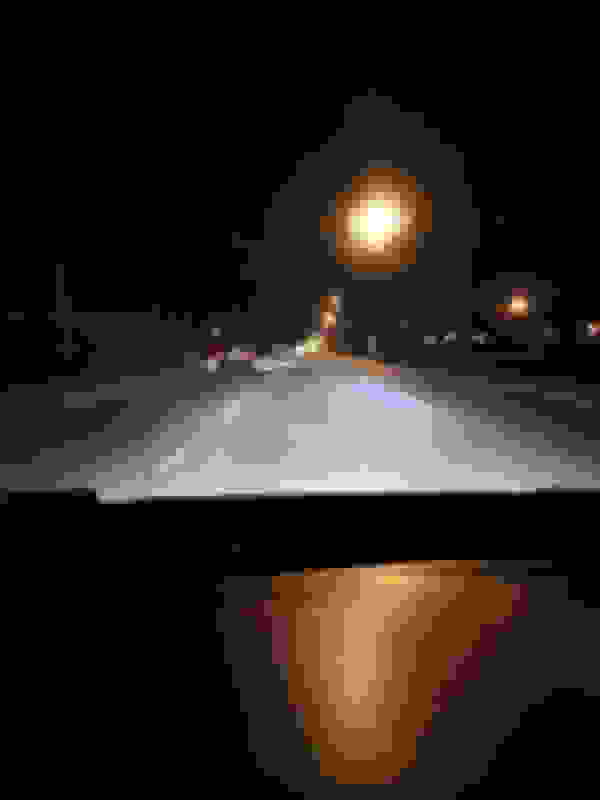 Since the roads where I live don't have white lines along the edges, and since there are no shoulders either, and instead there is just a kind of ditch that begins where the pavement ends, which I do not want to drive onto, the original incandescents are making it hard for me to drive at night. If I slow down on the main road, I keep on worrying that someone is going to rear-end me. Yes she would be liable for damages, but I still don't want it to happen; I don't want the disruption it would cause. The Amazon ad describes the Beamtech lamps as being 32 volt! My Fit has a 12 volt battery and the regulated voltage from the alternator is around 14 volts. A 32 volt lamp would not be suitable. If they have the wrong number here, why should I trust them to have the correct lumens posted? Or the correct color temperature? By the way 2000 lumens for low beam of each lamp and 2000 for high beam, is not a lot more light than the original incandescents, which are about 1200 high beams, 900 low beams. https://www.brandsport.com/sylv-9003su.html And I do not think that 2000 lumens is twice as bright as 1000 lumens. And I think that the lumens are measured at the source, the at the filament or LED, and that that doesn't necessarily correspond to the amount of light that the reflectors reflect onto the road. The other night, I reinstalled the halogen bulbs just to see the difference between them and the LEDs I’ve been using for the last two months. It was like I was driving blind. Say what you want, the LEDs are staying. I’m all done discussing this. Do what you like, as for me, I’m keeping the LEDs. cool will try to buy the one you recommended superbrightleds. Installed the superbright leds for the headlights, popped right in, kept the oem rubber boot with little trouble, Waiting until it gets dark to check the cutoff and look. So far in the daytime they work, and my DRL also work. I notice a bit of a flicker on start up though. VLEDs says their bulbs have a lower voltage range of 8 volts, Superbrightleds says their bulbs have a lower voltage range of 9 volts. I decided it is time to take out my voltmeter. or my voltmeters, and see what they say about the voltage to the high beam filaments, when the DRLs are on. Be warned though, the voltage is controlled by a pulse width modulation circuit. Whether you can accurately measure the voltage being supplied to the bulb, by disconnecting the connector and measuring the voltage at the connector, with any kind of voltmeter, is questionable. Maybe you can measure the voltage accurately when the circuit is loaded by the bulb's filament (for example, with the bulb connected). Or maybe not. But measuring the voltage at the terminals, with no load, with no bulb in place, is even less likely. Now, to measure the voltage under load, I'd have to devise some intermediate device to go between the connector and the bulb, to which I can make contact, with the voltmeter's probe. I don't have such a device. So I just pulled the connector off the bulb, and measured. Started the engine during the daytime, put the headlight switch on auto, undid the handbrake, pulled the handbrake back up, put the car in drive, put it back in park, and measured. What I got with my 40-year old high impedence voltmeter (I think its 1 megohm; the voltmeter utilizes a field effect transisitor to provide the high impedence), was 12.5 volts, Just a tiny bit less than the 14.5 volts I would expect to see at the high beam filament, with the headlamps switched to high beam. Although I forgot to measure that. But it would probably be about 14.5 volts. But with my 30-year old, cheap, automotive volt meter, with a range of 0 to 20 volts, but which has a much lower impedence, I got 3 volts, for the DRL voltage. Oh well. How many volts does the filament actually get in DRL mode? And how many volts would a LED lamp get, with its different impedence? I don't know. I forgot I also have a couple more voltmeters I can connect, and see what they say. What I really need is a calibrated oscilloscope that can show the pwm waveform and that can be used to measure the peak to peak voltage and the RMS voltage. Anyone have any recommendations for something I can plug into my laptop computer's usb port or into the laptop's microphone jack that will display a voltage wave on the screen? Actually, I don't seem to have a microphone jack or high-level audio-input jack on my laptop, only on my desktops. Last edited by nomenclator; 05-22-2018 at 04:21 PM. I just learned that I can buy an inexpensive usb sound card to plug into my computer, make this device, and buy an inexpensive oscilloscope program like the one listed on that page. What model year is your Fit? Did you also use the resistors from SBL?